A TOTAL OF 73,034 applications were received by CAO by the due date on 1 February this year, an increase of 391 on the last year. Of this number, 7,833 applications came from applicants over 23 years of age – down 706 (-8.3%) applications from last year. Looking at the figures for different categories shows significant increases and decreases for support for different course categories. There was a large spike in people applying for humanities courses (excluding languages) to 14,319 from 9,943 last year (a different of 44%). 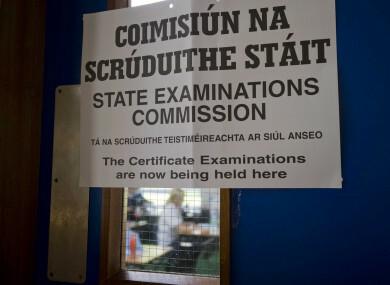 Meanwhile, there was a 28% jump in people applying for language courses, to 4,930 applications. In terms of first preferences, there were 2,658 for humanities (41% rise) and 779 for languages (20% rise). A total of 3,241 people applied for maths and statistics courses, marking a 14% rise on the previous year. There was also a jump in the number of people applying for secondary education, from 7,279 to 8,104 – an 11% rise. Primary education also saw a slight rise of 2% to 9,617 applicants. Certain groups of courses saw huge drops in applications this year. Applications for courses under the heading “Interdisciplinary programmes and qualifications involving arts and humanities”, which includes courses like agricultural science, among others, dropped significantly from 723 applications last year to 306 this year (a drop of 58%). Other types of courses that saw applications drop this year include journalism and information, which had 1,994 applications down from 3,252 – a drop of 39%. Data at this stage on applications is subject to change when Late Applications are taken into account and when the Change of Mind facility closes on 1 July. Email “CAO points set to jump for languages and the humanities this year”. Feedback on “CAO points set to jump for languages and the humanities this year”.